PIGGOTT – Winners of the 14th Annual Hemingway-Pfeiffer Student Art Exhibition were announced January 30 at a reception at the Hemingway-Pfeiffer Museum in Piggott. The annual juried art competition invites students within a 50-mile radius of Piggott to submit art for exhibition at the museum. This year, works were submitted by eight school districts in Northeast Arkansas and Southeast Missouri. Prizes for the competition were provided by the Matilda and Karl Pfeiffer Museum and Study Center of Piggott. Student art was exhibited on the campus of ASU-Jonesboro from January 11-22. 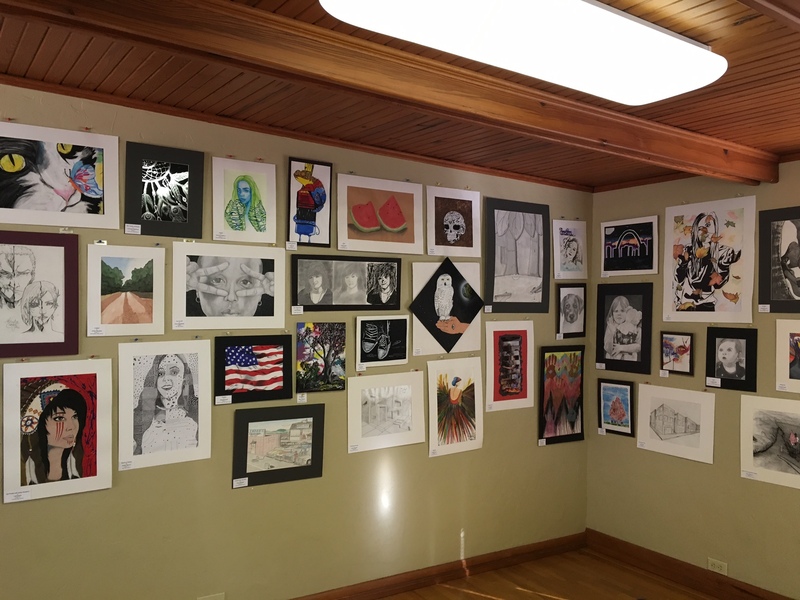 The exhibition was then on display at the museum’s Educational Center in Piggott from January 26-29, with a reception for artists and awards ceremony on January 30. This year’s winner was See No Evil by Anna Oppenheim, a freshman at Bay High School.